Living up to the memetic mutation of the game’s hero, Enoch, El Shaddai: Ascension of the Metatron may have some life left in it. Sawaki Takerasu, the game’s director, stated that he wanted to “develop a potential El Shaddai business moving forward.” A sequel perhaps? Well, given the game’s influence and biblical story of a certain… “snappy” character, an El Shaddai sequel was bound to happen. However, the game’s publisher, UTV Ignition, faced an uncertain future. The story of UTV Ignition is one that’s involved many parties, including Atlus, Vanillaware, and Disney. Back in early 2012, Disney had acquired the Mumbai based UTV, the parent company of Ignition Entertainment. Afterwards, the fate of many of UTV Ignition’s games were up in the air. UTV briefly showed life when it published Magical Drop V, but Dragon’s Crown was in danger. Atlus stepped in to help Vanillaware finish Dragon’s Crown and is now slated to release the game on August 6th. That leaves El Shaddai, one of the only games Ignition both developed and published. While Disney owning UTV could’ve meant more funding Ignition, we have yet to see that happen. 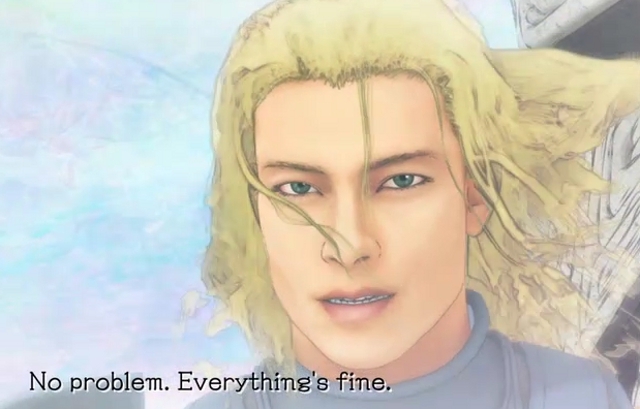 With Ignition’s increasing irrelevance, El Shaddai could’ve very well gone down with the ship. There’s also the fact that Disney has a sort image that some would call rather conservative, unfitting for a game like El Shaddai. But now there’s no problem since the director has his game back, so everything’s fine. This entry was posted in Gaming News and tagged disney, el shaddai, El Shaddai Ascension of the Metatron, Enoch, ignition entertainment, No Problem Everything's Fine, UTV Ignition on May 31, 2013 by Steven T..